Check the dude who's staring off into the sky all like, "Who, me?" 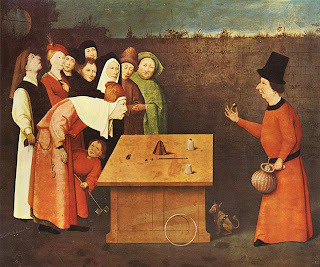 Early magicians may have also used their talents to earn the loyalty of the ignorant masses, either by inspiring their fear or awe. Reginald Scot’s 1584 book The Discoverie of Witchcraft, a treatise on the practice of the dark arts, contains a section explaining the deceptive tricks charlatans used to fool the unwary. Unfortunately for Scot, the people most in need of this information couldn’t afford books and didn’t know how to read them. Scot was ahead of his time, in that the premise of his book was that witchcraft and magic weren’t real. Accusations of witchcraft were based primarily on superstition, Scot asserted, and served as a means of persecuting the mentally ill, the simple-minded, the elderly, and the poor. Scot called for an end to the prosecution of witches. Scot’s book was banned by King James I in 1603 and most copies were burned. The debate about the existence of witchcraft raged on, however, with authors such as Thomas Ady and John Webster picking up Scot’s mantle in the next century. Reprints of The Discoverie of Witchcraft began to appear in 1651. You can't burn an idea. Unlike his predecessors, Robert-Houdin performed not at fairs and street markets, but in opulent theaters and private parties. 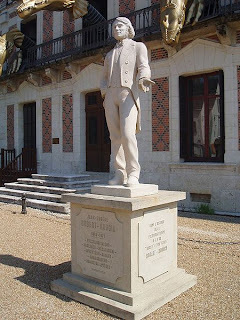 He was the first magician to wear formal dress; when you see a magician wearing a tail-coat and top hat, you’re seeing the influence of Robert-Houdin. He pioneered many illusions still used today, including The Marvelous Orange Tree, a trick featured in the 2006 Edward Norton film The Illusionist. In 1856, Robert-Houdin used his magic to help quell a native uprising in French-colonized Algeria. His tricks, including catching a bullet in his teeth, convinced the Algerian warriors that French magic out-magicked their magic, shattering their morale and helping the imperial army crush them. He has a statue too. 3) Billed as the deadliest trick in stage magic, the bullet catch trick did more than pave the way for Napolean III’s victory over Algerian rebels in 1856. It’s also killed at least 12 people, beginning with Frenchman Coulew de Lorraine, who was beaten to death with one of his own guns in 1613, by an angry assistant. In the olden days, the bullet catch trick relied on a magnet attached to the ramrod. The magnet would pull the bullet out of the gun immediately after loading, and the magician would rely on sleight of hand or misdirection to switch the real bullet for a blank. At least one magician was killed when the ramrod broke off inside the gun and was subsequently launched at his body at over 1,000 feet per second. Modern bullet catch tricks rely on gimmicked guns, or the use of wax bullets or blanks. 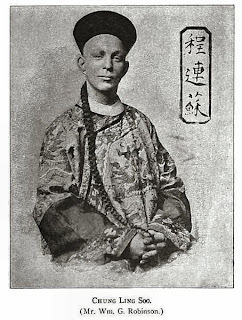 Early 20th century magician Chung Ling Soo (an American whose given name was William Ellsworth Robinson) died when his gimmicked gun malfunctioned and fired a real bullet from the wrong chamber. Why you’d even put real bullets in a gun with such a purpose, I have no idea. But it serves him right for being a racist. “Accidentally shot” is a common cause of death for magicians who perform the bullet catch trick, but it wasn’t the undoing of Ralf Bialla, a German magician who was allegedly wounded nine times in the execution of the bullet catch trick because he didn’t know when to quit. Ralf’s injuries are said to have left him debilitated with ceaseless dizziness. It was this dizziness that purportedly caused Ralf to fall from a cliff to his doom in 1975. Don't laugh at Ralf's misfortune. 4) Pepper’s Ghost is a type of illusion invented by Henry Dircks in the 1860s, and made popular by his colleague, inventor and chemist John Henry Pepper. The illusion uses a hidden room, lighting effects and a pane of glass to reflect “ghostly,” transparent images onto a stage. Dirck’s original design, which he called the Dircksian Phantasmagoria (catchy) required any interested theaters to undergo extensive renovations. Pepper’s introduced modifications to the design that made it portable, allowing stage magicians and illusionists to install the set up in any theater prior to performing. Though Pepper tried to give credit for the invention to Henry Dircks, the success of his modified design forever linked his name with the Dircksian Phantasmagoria. Illusions created with the Pepper’s Ghost technique remain popular to this day. Museums and theme parks, such as the Haunted Mansion at Disneyland or Blenheim Palace in Oxfordshire, England, use the Pepper’s Ghost technique to create eerie apparitions for that authentically haunted ambiance. The technique has also appeared numerous times in film and on television. Controversy erupted when Pepper’s Ghost was used to project an image of the late Tupac Shakur onto the stage at Coachella 2012, much to the bewilderment of tweens everywhere. Pepper’s Ghost was also an important plot device in the aforementioned film The Illusionist, though magic geeks seem uncertain as to whether the effects depicted in the movie could be achieved in real life. 5) Contrary to popular belief, Hungarian-American magician Harry Houdini did not die from a failure to escape the Chinese Water Torture Cell. 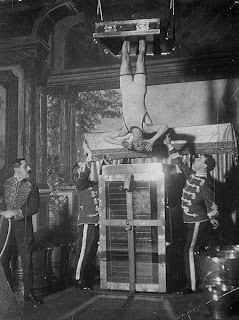 The act had Houdini suspended upside down, with his feet in stocks, and lowered into a tank of water which would be locked at the top. He would then escape from the locked tank behind a curtain. Houdini performed this trick publically from 1912 to 1926. That’s not to say that Houdini’s career in magic didn’t contribute to his death. According to eyewitness reports, a McGill University student, J. Gordon Whitehead, visited Houdini in his dressing room at Montreal’s Princess Theater on 22 October 1926. Whitehead asked Houdini if his, Houdini’s, claims to be able to take any blow to the abdomen were true. Houdini confirmed the claims, adding that he needed “time to brace himself.” Whitehead, apparently not hearing that last part, proceeded to punch Houdini in the stomach four times. Houdini experienced extreme pain and fever for the next two days, until he finally saw a doctor and was diagnosed with acute appendicitis. Instead of doing the sensible thing and having surgery, Houdini opted to ignore medical advice and continue his tour. He is said to have passed out on stage at his final performance, on 24 October 1926. When revived, he allowed himself to be hospitalized only after finishing his performance. He died at the age of 52 on Halloween, from peritonitis brought on by a burst appendix. Or from stubbornness; you decide. 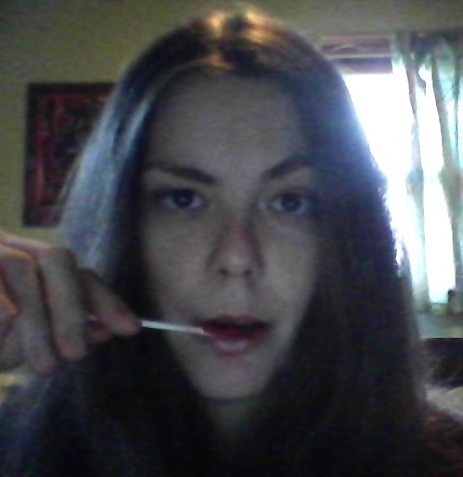 Is it strange that my Friday post will involve a magic stick? Yeah, that's a little weird. Where did you get a magic stick? What does it do? No wait, don't tell me. It was a lot of reading, Paulie, thanks for hangin' in there.